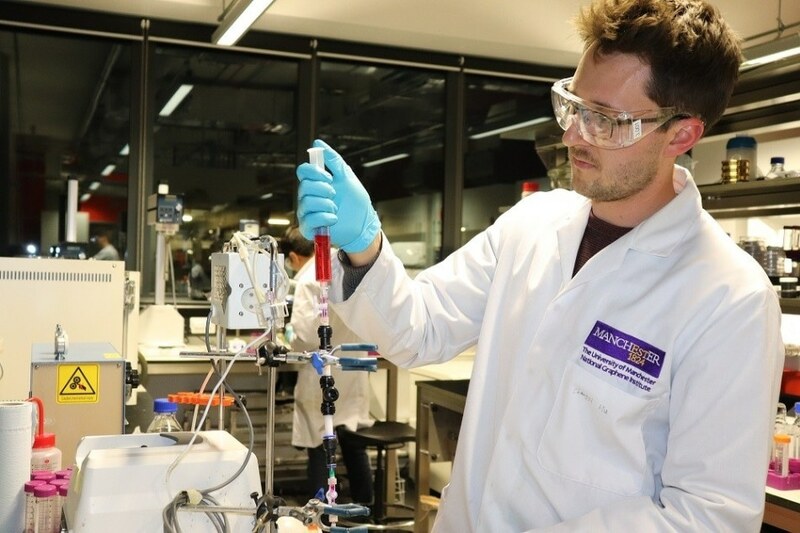 The University of Manchester’s National Graphene Institute (NGI) and LifeSaver®, a UK-based manufacturer of reusable and portable water filtration systems, have signed a new research project to develop graphene technology. The 18-month research project will concentrate on advancing graphene technology that can be utilized for improved water filtration, with an aim to develop a patented and proprietary, state-of-the-art product that has the potential to eliminate an even broader range of dangerous contaminants than presently eliminated by its prevailing high-performance ultra-filtration process. In recent years, graphene has evolved as a material with remarkable potential for water desalination and filtration, thanks to scientists at the NGI leading the way and who are focused on graphene membranes. Graphene—the first two-dimensional (2D) material ever discovered—is known as one of the strongest natural materials in the world and, at the same time, it retains high levels of conductivity, flexibility¸ and filtration. LifeSaver believes that if graphene is integrated into its current cutting-edge water purification technology, the sieve size of its hollow fiber filtration membrane—which removes viruses, bacteria, and microbial cysts in an effective way—can be reduced from the present 15 nm to approximately 1–3 nm. LifeSaver products, at that size, can potentially eliminate a much broader range of contaminants, like pesticides, heavy metals, specific chemicals, and perhaps even nuclear radiation, from drinking water supplies. “Making a graphene-based portable water filter was our dream, and this collaboration with LifeSaver will enable that dream to be a reality sooner than later,” stated Professor Rahul Nair, who will head the research project at The University of Manchester. The University of Manchester is the world leading centre for graphene membrane development, and LifeSaver has the expertise in making a portable water filter. This is a great example of a collaborative project where we are trying to combine two independently developed technologies into one, to enhance the quality and availability of drinking water for those who need it most. The partnership with NGI excites all of us at LifeSaver as it provides a potential game changing opportunity in our patented technology platform. This in turn allows us to continue to provide leading edge technological solutions to our key global humanitarian and retail markets. When LifeSaver contacted the NGI in 2017, the company was perceived as a strong partner with the required experience to create and use promising graphene applications in water filtration. The research team at NGI—the UK’s national center for graphene and 2D materials studies—grabbed this chance, which resulted in a promising partnership. LifeSaver was established in the United Kingdom in 2007 and came to life after back-to-back natural catastrophes—Hurricane Katrina and the Indian Ocean Tsunami—to deal with the ensuing need for access to supplies of clean drinking water. When the first LifeSaver version was developed, it became the first portable water filter in the world, with the ability to remove even the tiniest known waterborne viruses. Ever since then, LifeSaver became to be known as a long-lasting and effective solution to issues related to drinking water in the humanitarian industries, and outdoor enthusiasts. Graphene has captured the world’s imagination, and the University of Manchester is the home of this material. An ongoing program of activity called [email protected] will help ensure that the UK and Manchester play a leading international role in advancing the ground-breaking abilities of graphene. At the core of [email protected] are the NGI and the Graphene Engineering Innovation Centre (GEIC), multi-million-pound facilities dedicated to fostering strong collaborations between academia and industry.